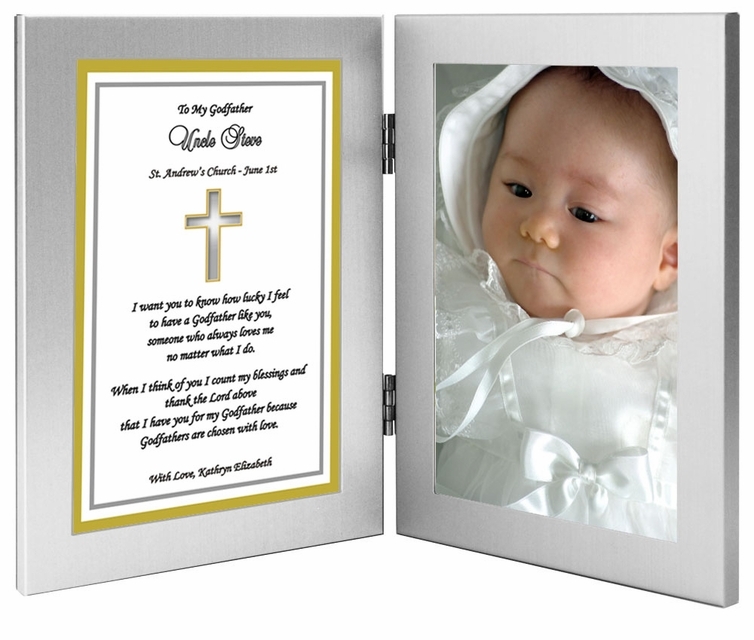 Customized baptism gift for Godfather personalized with names, date, optional church name and personal message. Tabletop display for these attached double 4x6 inch frames. A unique and meaningful Godfather gift from his Godson or Goddaughter. 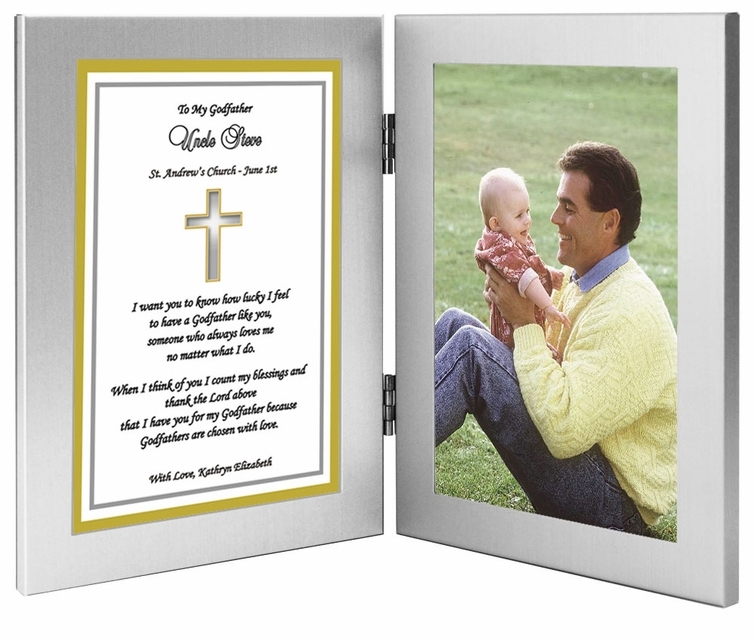 Perfect way to say "thank you" to your child's Godfather.